Youtube is one of the most popular app in the world. We can literally find video on any topic. You can find videos from cooking to travelling and many more topics which are hard to find. Simply type your query in the search bar and see the magic of Youtube. However many people are too busy to watch videos for hours. If it’s not a tutorial then people barely watch full length video. We can’t keep watching videos. If we want to listen to our favorite music playlist which contains 50 songs then certainly we are not going to watch all those videos. We have many other tasks to complete. We want to listen to those songs in the background. We want to do important work while listening to songs which is being played on Youtube in the background on Android device. However Youtube doesn’t allow it to be played in the background. You can only play when the Youtube app is open on android phone or youtube.com is open chrome/firefox browser on your android device. If you minimise the app while playing video then it will simply stop. It will resume when you open the app again. Youtube makes sure that you watch the video because that’s what it is meant for. Open Youtube.com in Chrome browser on Android phone. Search for your favourite music or playlist or any other video. Open the video to play. Click on 3 dots in the right hand upper corner in Google Chrome to open chrome options. Scroll down till you see an option “Request Desktop Site”. Tap on Request Desktop Site . Youtube.com video will again reload and now you can see the video in desktop mode. Earlier one was mobile mode. Play the video and now minimise the Google Chrome. Video will stop playing and you will not hear any sound. Open up “Notification area” by sliding from top or bottom depending on your android device. Most of the devices support top sliding to open notification area. You will see Youtube video name with 3 options. You will see “play button” in the middle of it. Now you can listen to Youtube without any difficulty. Open your favorite music playlist on youtube and do the above steps and listen to Youtube all day long. 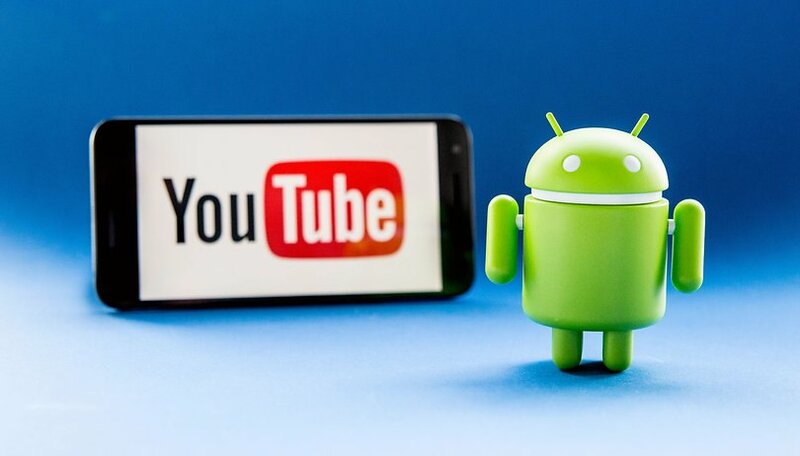 This method is the easiest way to play youtube in background on Android phone/tablet 2019. You can play any kind of video in the background without any difficulty. This method is even available for iPhone but with much difficulty. There are certain android phone where you won’t get play options in the notification area once you minimise the Chrome app on your android phone. This method isn’t applicable for such video. You won’t be able to listen youtube in background. One of the best things about this method is that you can listen to Youtube in Background even when screen is off. Phone display or app opening isn’t required for music to play in background. Simply switch off the Android phone or Android tablet screen and listen to Youtube in background. You can use above top 5 best apps to play Youtube in Background on Android phone. You can install these app on any android device such as Samsung, HTC, Redmi, Mi, One Plus, Moto Phones, Lenovo Phones, Micromax, Karbonn, Sony etc… You can install these apps on Android tablets as well to enjoy Youtube in Background. This entry was posted in Android Settings on March 21, 2019 by satyenhacks. Many Android phones have a problem where Wi-Fi keeps turning OFF by itself. People have reported that the Wi-Fi button will switch off automatically and they have to switch it ON manually every time they want to connect to a wireless network. The problem can be a headache for some people while it can be good for some people. Turning Wi-Fi OFF actually saves your battery. I am pretty sure it turns off when you are not using it or when your screen is OFF. The problem can occur both on Android phones and tablets. If your Android phone has low battery problem then it’s really good for you. The Android Wi-Fi keeps turning OFF by itself problem can be easily fixed by changing settings in the phone. It happens due to different features which can control Wi-Fi connection on your Android phone. These features or apps are provided by the phone manufacturers. It can differ from device to device. You should find those settings and change it to fix automatic Wi-Fi turn off issue in Android. Sometimes firmware updates also cause the problem in Wi-Fi due to some bugs. You can clear the cache partition to fix the issue and wait for a better upgrade. Connection optimizer setting on many Android phones is the main cause of the “automatic Wi-Fi turning off problem.” Connection optimizer controls Wi-Fi connection and helps you get the best available network at any time. It also turn ON or turns OFF Wi-Fi automatically to save your battery. It also switches between poor Wi-Fi connection and mobile data to get you fast Internet access. However people get annoyed how it works as they don’t want to manually start Wi-Fi every time they switch on the screen. Even I don’t want to manually click on Wi-Fi option to start it every now and then. My Android phone must connect to known networks when I’m in range. We can fix “Wi-Fi keeps disconnecting or turning off automatically” by turning off this feature. Go to “Settings” of your Android phone. Tap on “More Networks” option. Tap on “Mobile Networks” option. Tap on “Connection Optimizer” setting. It will fix Android Wi-Fi keeps turning OFF problem for most people. The above path for connection optimizer is almost same in Samsung S5, S6, S7, S8 and many other Android phones and tablets. You can also find out the similar setting. Tap on “Smart Mode” option. Tap the Smart Mode Switch to turn it OFF on ON. Make sure you turn it OFF to fix your issue. Smart Wi-Fi option is present in many Android phones and tablets. It lets your manage your Wi-Fi connections automatically. It helps your android phone connect to the best network with high speed Internet access. Smart Wi-Fi also turns OFF/ON your Wi-Fi to save battery drain. In many Android cell phones, you can find similar setting known as “Smart Network Switch” which performs similar functions. However both these settings can annoy many people as many people don’t like to see their Wi-Fi turning OFF by itself. Even I don’t want to turn it ON manually every time I open my phone. It should be connected to known wireless networks whenever I’m in range of it. Open the AT&T Smart Wi-Fi app. Enable or Disable under the Wi-Fi icon to turn on or off. It fixed the Wi-Fi turning ON for many people. Look out for “Smart Network Switch” option. If it’s not there then tap on “Advanced Settings” or Tap 3 dots in the top right corner and click on “Advanced Settings”. Disable the Smart Network Switch option. Smart Network switch option is present in many Samsung Android phones and tablets.If the feature isn’t present then you should look for similar option on your mobile which is managing the Wireless networks other than known apps in your Android phone. Go to “Settings” of android phone. Tap on “Advanced Settings” at the bottom or tap on 3 dots at top right corner and then tap on Advanced settings. Disable the feature or turn it off. Tap on “Wi-Fi” settings option. Tap on “Advanced Settings” option. Tap on “Keep Wi-Fi on during sleep“. Choose “Never” option from the list. 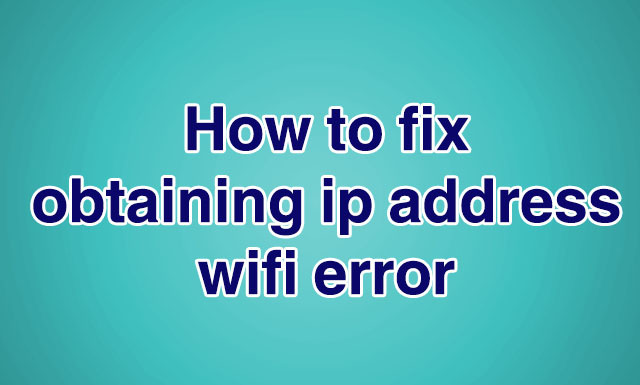 It has helped lots of users fix the automatic Wi-Fi turning OFF problem. The steps are similar in most of the Android phones. It may differ for few Android phones. You should find options similar to this and turn that off or disable the feature. It will resolve Wi-Fi keeps turning off problem in Android phones. If both the Wi-Fi timer and sleep policy didn’t help you out then you should try out next method. Almost every Android phone has this setting where phone scans for Wireless connection for Google services such as maps, GPS etc.. even when the Wi-Fi is switched off. The phone uses Wi-Fi network along with GPS to triangulate your position which gives high accuracy of your phone’s location. Sometimes it causes a great trouble for many users and results in their Wi-Fi turning off/on for unknown reasons. You might want to turn off this setting to see if it fixes your issue of Wi-Fi keep turning off. In similar way, this option is given under “Scanning Always Available” in many android phones. You should disable the scanning always available option so that phone won’t search for Wi-Fi networks while Wi-Fi is off. It will stop the problem for many android users. Uncheck the “Scanning always option” to turn it off. It helped many people fix the problem of frequent dropping of Wi-Fi connection. Tap on “Security and Privacy” option. Disable Battery Saving mode. (Given in some Android phones). Select only GPS to determine your location. It will surely help many android users to resolve frequent turning off of Wi-Fi in their Android phones. If you are unable to find above mentioned settings then you should find similar settings in your phone. Above mentioned steps can be easily found in Redmi, MI and Samsung phones. I believe it will be almost similar in other android phones. There are many 3rd party apps which can cause a great amount of trouble with the Wi-Fi connection as you grant them permissions to change anything. Third party apps like Macafee, Textra etc.. have control over your Wi-Fi. They claim to provide you best Wi-Fi network at any time. They can switch off/on Wi-Fi automatically. You should disable such options inside those apps. Second option is to completely uninstall such applications from your Android phone. Check for such apps on your android and make sure they are not controlling the Wi-Fi feature of your phone for automatic switch off/on activity. This entry was posted in Android Settings, Wi-Fi Connectivity Issues on January 9, 2018 by satyenhacks. Android Wi-Fi networks create a lot of problem on many devices because of different settings provided by different manufacturers. Many Android users have reported that their Android phone keeps turning ON by itself. If your Android keep turning ON by itself then it will become a headache as your Wi-Fi will keep connecting to open Wi-Fi networks and you will see a pop up every now and then. It will also drain your battery. You will also get notification when your phone disconnects the current Wi-Fi network on many phones. You will go to settings and try to find how to stop it but you won’t be able to stop it from turning ON by itself. Android Wi-FI keep turning ON by itself due to internal settings of the phone. Many Android manufacturers and carriers tweak the settings to provide you best services. We are not aware of the full features of the inbuilt functions of the Android phone. A simple check mark in front of an option causes so much headache. We try to find ourselves, ask your friends and search on Internet but don’t get exact answers as how to switch off the settings. People tell you to find out a specific settings but you don’t see that settings on your Android phone. We are going to list of solutions to “Android Wi-Fi keeps turning ON by itself”. There are many Android phones which have “Connection Optimizer” settings. Connection optimizer setting is causing the problem for most of the people. It keeps on turning your Android phone Wi-Fi by itself. You should find Connection optimizer settings in your android phone and you need to switch it off. The settings is available on many phones provided by carriers like AT & T, Verizon and T-mobile networks. The setting location may differ for different Android sets. Search the Internet for setting of connection optimizer for your phone. It will surely fix the issue of Android Wi-Fi keeps turning ON. If you are unable to find this setting on your Android phone then probably it’s not given on your cell phone. You don’t need to worry about this setting. Proceed to the method 2 to fix Wi-Fi issues on Android phone. Smart Wi-Fi function is provided in many Android phone by their manufacturers. It helps you manage Wi-Fi networks. It lets you connect to the best network at any time. Smart Wi-Fi is a setting which also causes your Android phone to turn ON by itself. The problem has been reported by many Android users. Turning it OFF helped them get rid of the issue. Find out the Smart Wi-Fi setting in your Android phone and turn it OFF. Samsung Android phones offer a new feature “Smart Network Switch”. People have claimed that it also causes the problem in many android phones with this option. Find out this option if have it in your Samsung phone and disable it to fix Wi-Fi connection issue. If Smart Wi-Fi settings isn’t available in your Android phone then you should look for similar options in your phone or Android tablet. Tap 3 dots at the top right hand corner. You should also directly check for Wi-Fi timer option. Wi-Fi timer lets you save time for automatic connection and disconnection from wireless networks. Simply disable it by unchecking the option at the top. Turning it off has fixed the issue for many people. Tap on “Wi-Fi” settings of Android phone. Tap on “Advanced Settings” at the bottom. It has helped lots of android users fix the automatic Wi-Fi turning ON problem. The steps may differ for few Android handsets but it may be similar to this only. The above setting has been taken from Redmi phone. It may differ for Samsung phones. Try to find it and disable it or choose never option from the list. You can find the settings under “location settings”. This setting location may differ from phone to phone. You should find this setting in your phone and turn it off. It has helped people fix the problem frequent dropping of Wi-Fi connection. The above setting is given for Redmi phones. It may differ for Samsung and other phones. Tap on “Privacy and Safety” option. Tap on “Improve Scanning” option. Turn off Wi-Fi Scanning and Bluetooth scanning. Find the similar options for your Android phone and turn off the automatic Wi-Fi scanning when the Wi-Fi is OFF. There are tons of apps on Google play store which claim to manage your Wi-Fi networks. Sometimes these Wi-Fi management apps have options which can change overall settings on your android phone which can cause frequent Wi-Fi connection dropping. You should either uninstall such apps or turn off any setting inside the app which is causing the problem. Open the app and check for all the features provided by it. Keep an eye on Automatic Wi-Fi options. It’s always better to uninstall these apps as Android is well able to manage your networks. Hopefully one of the above methods fixed your Android keeps turning ON problem. If you solved the problem by any other method then do tell us in the comments so that we can include the same in out list. This entry was posted in Android Settings, Wi-Fi Connectivity Issues on January 8, 2018 by satyenhacks. We like to save secured wireless networks on our Android phones and tablets. We mainly save networks so that we can get connected to wireless networks when it’s in range. We don’t have to go to Wi-Fi settings and manually connect to the Wi-Fi Network. People have different networks at office, home or other places. Automatic connection to Wi-Fi network is very helpful as we don’t even have to remember all passwords of different networks. We directly get access to network when we reach out places. There are times when Android forgets to automatically connect to Wi-Fi network. You have to manually connect to the Wi-Fi network. Another way is to switch off the Wi-Fi and turn it back ON after 4-5 seconds for automatic connection to wireless network. It’s really annoying because you know that you haven’t changed any settings in the phone. This can happen due to many unknown reasons. Many Samsung phones have Wi-Fi auto connect problem. Let’s see in detail as how these options can troubleshoot “Android doesn’t automatically connect to Wi-Fi Network”. It will give you few options such as “Forget Network” and “Modify Network”. Tap on “Forget Network” and follow the rest of the steps. Scan the Wi-Fi networks again. Click on your Wi-Fi network and enter the right password. Tap on Save changes. You will get connected to network. Make sure you have Auto-Connect ON for this network. Next time when you are in range then Android phone will get connected automatically to your network at home or office whichever you configured. If the above thing didn’t help you out and you know that the password wasn’t changed then keep reading ahead. Many people have reported that a recent software update problem caused the Wi-Fi auto connect problem for the Wi-Fi network. If you recently updated your Android phone or tablet then there is a chance that the updated software problem caused the issue. You have to wait for the next update so that the bug can be fixed. Keep checking the updates regularly. Many Android users have reported that having the Wi-Fi Sleep policy is causing the automatic connection to Wi-Fi networks. If the “Keep Wi-Fi on during Sleep” is set to always then Android stops automatic connection to known wireless networks. You can change the setting to “only when plugged in” or “Never”. Look out for “Advanced Settings” option. Also check for 3 dots at top right corner for advanced settings in some Android versions. You will see option “Keep Wi-Fi ON during Sleep“. Tap on it. For many people it resolved the problem automatic Wi-Fi disconnection. Shut down your Android phone. Start Android phone by pressing “Power button + Volume up or Volume Down). Volume up or down depends on the phone. It will take you to recovery mode where you will be presented with several options. Click on Cache Partition Wipe. Once it completes then restart the phone. Go to “Wi-Fi” and try connecting to see if it’s working perfectly or not. Go to “Settings” of the Android phone. Tap on “Backup and Reset“. You may find this option under “Additional Settings“. Try to locate option which says Reset or Backup and Reset in Settings. Click on “All files on the phone“. Restart the phone and see if Wi-Fi dropping stopped or not. These are some of the additional and basic ways to fix many problems related to Android and iOS wifi issues. You should start with WiFi toggle and Airplane Mode toggle. It fixes many problems including Auto Connect WiFi issue. Bluetooth toggle option also fixed the problem for few people. If these 3 didn’t fixed up the issue then try restarting your router. Sometimes it’s the network which is causing the problem in Auto-Connect. Restarting the router will fix the problem. You can also perform network settings reset on Android Phone. It will delete all your previous settings related to WiFi networks, bluetooth devices, cellular settings. You have to enter password again for your WiFi network. It will surely fix the issue of auto connect. However by far “Forget Network” option fixes the issue. Hopefully this guide will help you in auto-connecting of your Android phone to your favorite WiFi network. Following above methods will also fix other WiFi issues in Android. If you know any other method then do inform us so that we can include the same in this guide. This entry was posted in Android Settings, Wi-Fi Connectivity Issues and tagged Fix Android Can't Auto Connect to WiFi, Fix Android WiFi Auto Connect Disable, Fix Samsung Galaxy Automatic WiFi Connect, Fix Samsung Not Automatically Connecting to WiFi, Fix Samsung Phone Won't Connect to Home WiFi, Fix WiFi Not Automatically Connecting Android, Why Doesn't My Phone Automatically Connect to WiFi on January 8, 2018 by satyenhacks. Every Android users must have experienced a situation in which the WiFi gets stuck in the off position on your Android smartphone or Android tablet. Few users have experienced other problems like when they try to switch on the Wi-Fi then Wi-Fi turns off by itself. The Android Wi-Fi also gets stuck, freezes or simply shows turning ON but never turns ON. In these cases the phone won’t let you turn on the Wi-Fi. It simply refuses to turn on the Wi-Fi. There can be multiple reasons behind this from software to hardware. However the most common solution to Wi-Fi won’t turn on is to fix the software part. The Software issues can be easily fixed with few simple steps. It normally arises when you update your phone or install new apps that have interference with the Wi-Fi settings. The hardware issues on the Android cell phone should be done at service center only as you can cause another damage while fixing it. Airplane mode in Android smartphone and tablets is very useful. Airplane mode can fix many things in your Android phone. Whenever your Wi-Fi won’t turn on or shows turning on but never turns on then simply open the Airplane mode from settings or by pulling down the notification area settings and turn it OFF. Wait for 5 seconds and turn it back on. Now go to your Wi-Fi and try to turn it back ON. Believe it or not, it solves Wi-Fi won’t turn on problem most of the time. If your Wi-Fi isn’t connecting to a wireless network then Airplane mode can help you. Toggle the Airplane mode and try to reconnect with the wireless network with the right password. If the Airplane mode didn’t help you out with the Wi-Fi not turning on then you should try this option instead. Shut down your Android phone by long pressing the power button. You can also take your battery out, wait for few seconds and insert it back again. Battery can be taken out in old phones. Newer phones won’t let you take the battery out. You should press the power button for 10-15 seconds to switch off your phone. Now restart your phone or tablet. Power cycling the phone resolves most of the software related issues whether it’s Wi-Fi or Bluetooth. Go to Wi-Fi settings and try to turn it ON. Hopefully the issue is resolved. If it didn’t help then you should move on to the third method. Try to remember when the problem with the Wi-Fi started. Did you install any new applications on your Android cell phone? May be the new application is causing the problem. Few newer apps can cause software issues on Android because of non-friendly version. They are beta versions causing problems on your phone. Uninstall those new applications from your phone or tablet. Restart your phone and see if the Wi-Fi won’t turn on problem is fixed. Install the app again and see if it’s causing the problem again. If it’s causing problem with the Wi-Fi then you should uninstall it completely and wait for the next updated release of the app. Many users have fixed the Wi-Fi problem when they cleared the memory on their Android phone. Low memory can be a reason for your Wi-Fi problem. Try to clear the RAM memory through the RAM manager. If you have any memory-cleaning app installed then clear the RAM through that app. Having less memory in your phone can cause many apps to stop performing. You should have enough memory at all time for proper functioning of the Android smartphone. This solution has helped many users fix the issue. These are some of the basic fixes to troubleshoot Android Wi-Fi problems. Let’s move on to some advanced ones. If your Android phone Wi-Fi isn’t turning ON at all then there is chance that something inside the phone is not working properly or malfunctioning. There is a chance that a cable is loose or disconnected. If the cable is not connected properly or something happened with the Wi-Fi antenna then it could cause Wi-Fi won’t turn on problem. We are recommending some tips here to fix your loose cable inside the phone. You don’t have to open up your Android phone at all. While shaking the Android phone make sure not to let it slip out of your hand. You don’t want to break your phone, right? Try turning on the Wi-Fi again and see if it’s fixed the problem. Many people have reported that it fixed the issue and their Wi-Fi is now turning on properly. If you are unable to find wpa_supplicant.conf in the above given location then you should find the file with the same name somewhere inside the wifi folder. You should use the search option to find out the file and rename it. You can also search for the file “Softab.conf” and try renaming it to softab.bak to see if your Wi-Fi started working again. The method has worked successfully in many phones such as Samsung Note 1 and many galaxy models. It’s one of the biggest problems in Samsung galaxy phones. The restore from server option is checked while you configure the login details for Samsung and Google accounts. You should uncheck this restore from server option so that your Wi-Fi will start turning ON without getting stuck or freeze. The Wi-Fi won’t turn on problem won’t rise again. Many users have reported this method to work perfectly for them. This is yet another Wi-Fi connectivity problem mainly in Samsung phones. If you are having problems with Wi-Fi getting stuck or not turning on then you should follow the below steps to make it work perfectly. The last option that you are trying to do is to perform a factory data reset option which tend to solve most of the problems related to software issues on Android phones, tablets and iPhone as well. Factory data reset will delete all your files, apps, documents, videos, music files and rest of the things. Save all-important files on your computer or some other phone. You can also save it in your Google drive. Hopefully it will fix your Wi-Fi won’t turn on problem. If it doesn’t then you should look for any one of the options above. Many people have reported that after doing step by step methods given above they have been able to fix their Wi-Fi won’t turn on issues. Do comment if you have found any other method. This entry was posted in Android Settings, Wi-Fi Connectivity Issues and tagged Android WiFi Won't Turn On or Connect? Here Are All The Fixes, Fix WiFi stuck on Turning On Android Phone, How to Fix an Android phone when it's Wi-Fi won't turn on, How to Fix WiFi Wont Turn On - For Any Android Device, What to do if your phone won't connect to Wi-Fi, Wi-Fi Won't Turn on (Android /Samsung) - How To Fix It, WiFi Won't Turn ON Android Fix, WiFi Won't Turn ON Android Phone Solved, WiFi won't turn on Samsung Tablet Android on January 3, 2018 by satyenhacks.